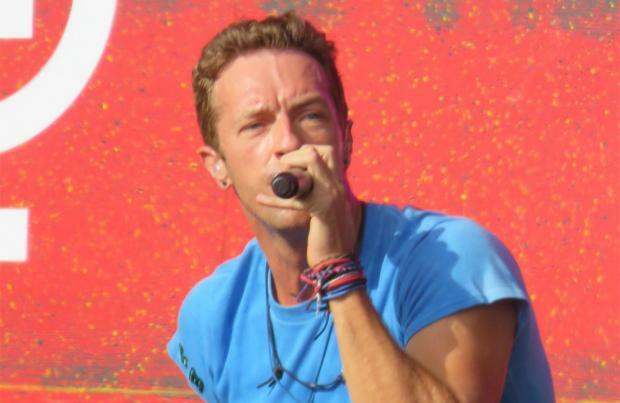 Coldplay to join forces with Rihanna and Beyoncé for Super Bowl 50? Coldplay is keen to team up with Rihanna and Beyoncé for next year's Super Bowl 50 half-time show. Chris Martin, 38, has asked the Barbadian babe, 27 and the 'XO' hitmaker, 34 to join the band's 12-minute slot at the annual championship game of the National Football League at the Levi's Stadium in Santa Clara, California in February. A source told the Daily Mirror newspaper: "Chris and his band know they're not typically as showy as recent performers like Katy Perry and Madonna with all the dancers and, while they love a light show, they still want to bring a few surprises out. Beyonce and Rihanna are both keen to join in the high-profile ceremony and will add just the spark needed to make it an amazing and unforgettable show." But the 'A Sky Full of Stars' hitmakers, which is the first British act to take the slot since The Who in 2010, will be watched live by an audience of 115 million in the US alone on February 7, so it's no wonder they're feeling the pressure. Chris said recently: "We get a couple of weeks off but then we're preparing for the Super Bowl. "It's a huge show so there's a lot of pressure and we've already started planning what we want to do."